All these songs are arranged in several different parts, ranging from the high voices of the sopranos (all women) to the low rumble of the basses (all men). In between there are usually two sections containing both men and women. 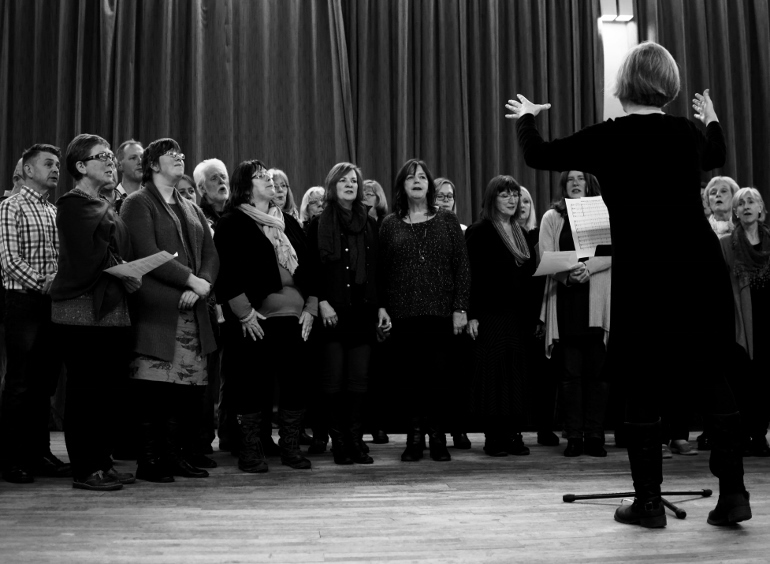 Mostly one section of the choir will be singing the recognisable tune, while the other sections sing harmonies. In different songs and different parts of a given song, the tune may be given to any section of the choir. Sing with us, feel better! Did you know singing has proven health benefits? It can help improve breathing, lift your mood, relax your body and relieve stress. Here are some interesting articles.